SECOND MATE RICHARD ALLEN COOPER was born in Florida in 1913. 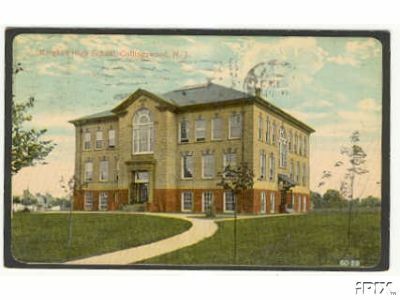 He was a 1931 graduate of Collingswood High School, where he lived for many years with his parents, Grover C. and Martha Cooper, at 42 Washington Avenue in Collingswood. His father was an assistant manager in a sewing machine business. Following graduation from high school he joined the Merchant Marine. He had married, and lived in Boston MA between journeys. His son, Richard A. Cooper Jr. was born in late 1941. 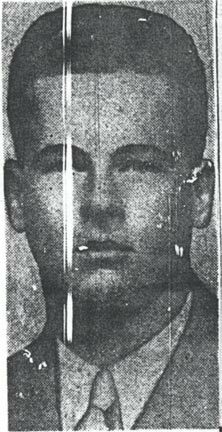 Richard Cooper went to sea as Second Mate aboard the SS Raphael Semmes on November 27, 1941, departing Boston for India. 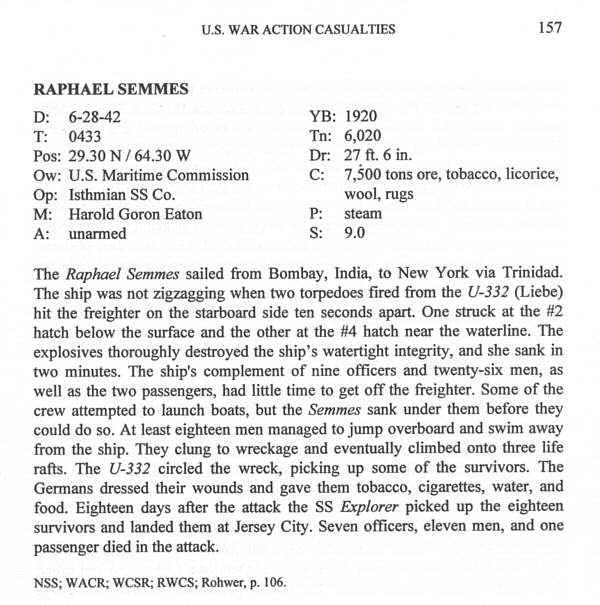 The SS Raphael Semmes made port in India without incident. On the return trip, she was sunk in the North Atlantic about 650 miles from Boston by the German submarine U-332, under the command of Kapitänleutnant Johannes Liebe. 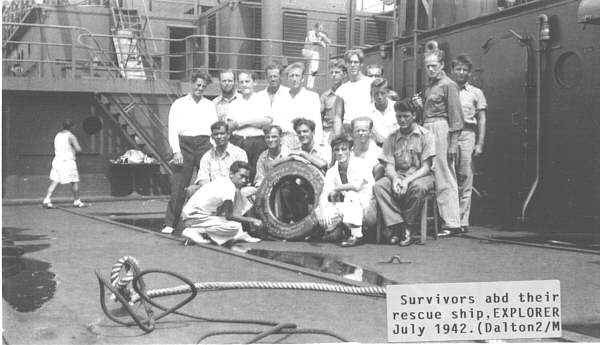 The SS Raphael Semmes, a U.S. cargo vessel built in 1920, was torpedoed without warning at 0833 GCT on June 28, 1942 at 290 30’ N – 640 30’ W. Ten of the survivors were taken aboard the U-boat, given medical attention and supplies and then released. 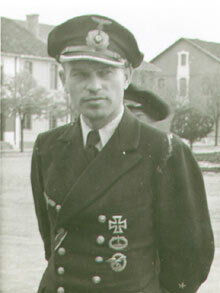 The U-boat commander introduced himself as “Lieutenant” Liebe. “Heidelberg” was painted on the fore part of the conning tower with a coat of arms with a lion insignia just below. A cupid mermaid was painted forward on the starboard side. 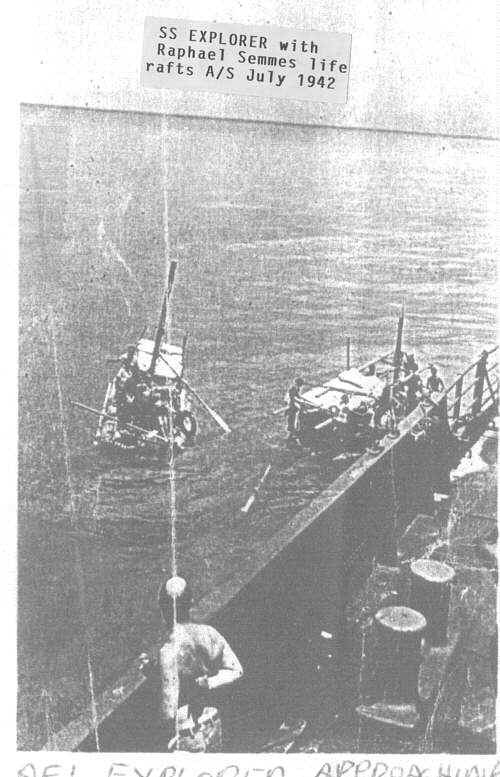 The U-boat was painted dark gray and appeared to be undamaged. Liebe was described as 5’ 7’’ tall, weight 155, blue eyes, blond and heavily bearded. It should be noted that the choice of a cupid as device by Liebe (love) was a typical example of devices selected for their relation to the captain’s name. U-38, Kapitänleutnant Johannes Liebe's former boat, the U-38, bore as a device a cupid astride a torpedo. 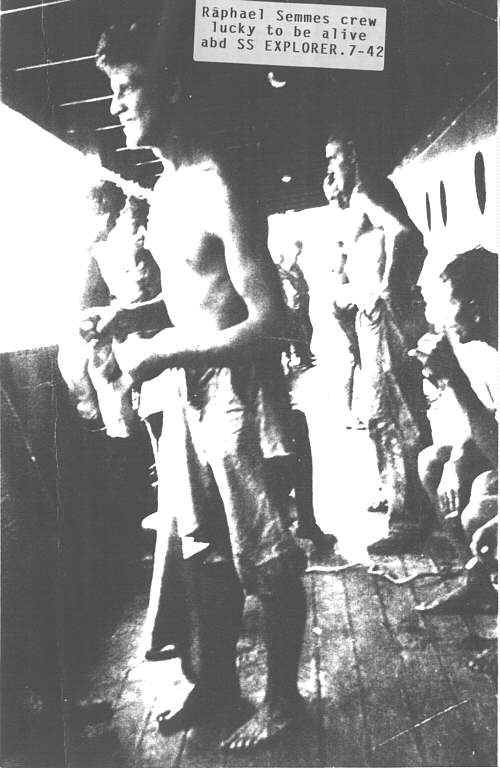 After 19 days adrift at sea, the survivors were rescued by the SS Explorer and taken to Jersey City NJ. Johannes Liebe was assigned to shore duty after the war patrol that the Raphael Semmes was sunk on concluded. He survived the war and passed away in 1981. The U-332 returned to sea under the command of Oberleutnant zur See Eberhard Hüttemann. She was sunk with all hands on April 29, 1943 in the Bay of Biscay north of Cape Finisterre, Spain, in position 45.08N, 09.33W, by depth charges from a British Liberator aircraft of RAF Squadron 224/D. 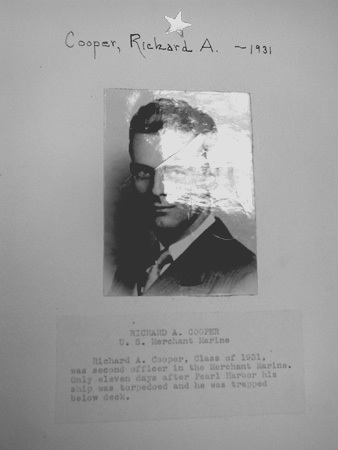 Richard Cooper was survived by his wife and son, parents, and five sisters, Marybelle, Amy, Pauline, Marian, and Mildred. 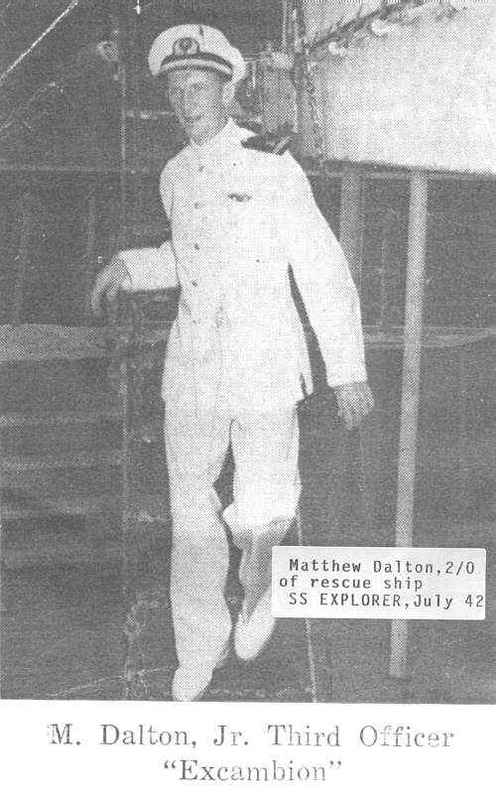 Matthew Dalton - liked by everyone who sailed with him!